We are pleased to welcome our incoming articling student, Umberto Cappella who joined the firm on May 15, 2017. He’s working towards qualifying as a member of the Law Society of Alberta, and should attain his goal of becoming a family lawyer sometime in 2018. Umberto’s brings his practical experience volunteering with the Pro Bono Students Canada’s Family Law Project (PBSC), where he assisted unrepresented litigants through their family law disputes and later worked as the Ontario Family Law Project Coordinator with PBSC. 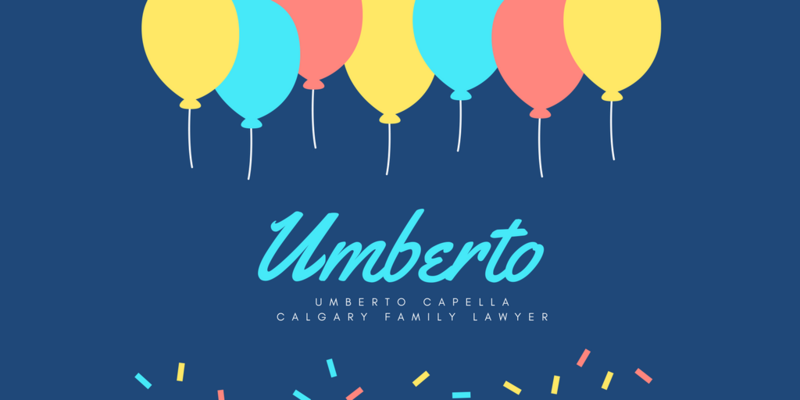 During his articling term, Umberto will be working with our Calgary family law team to assist clients dealing with separation and divorce. He has appeared at the Provincial Court of Alberta and the Court of Queen’s Bench of Alberta. For more information about Umberto, read his full profile page here.